Today marked our first trip from Friday Harbor of 2018! 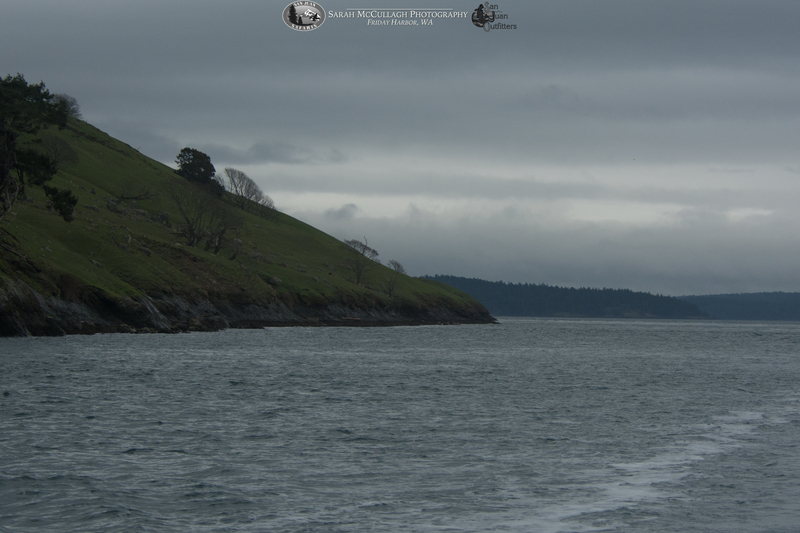 In preparation for a charter later this summer we hosted a small group aboard M/V Sea Lion on a short two-hour charter to check out the wildlife of the San Juan Islands. In a short amount of time we had an incredible day filled with wildlife and the beautiful scenery of the islands. After meeting our group at the Friday Harbor seaplane dock, we boarded the M/V Sea Lion and headed north from Friday Harbor towards some of my very favorite islands in the archipelago. We had relatively calm waters, but a brisk breeze over the surface of the water as we drove towards Flattop Island to check out some harbor seals, and a bald eagle. We marveled at the amazing geology on the north side of the small, protected island before we crossed over to Spieden Island. 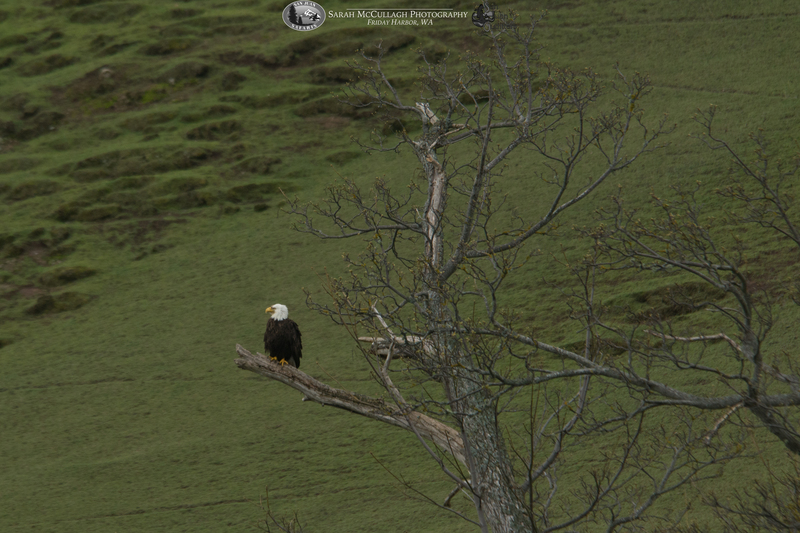 Spieden was teeming with wildlife; everywhere you looked there were the harbor seals and bald eagles. We also found the island’s famous non-native sheep all along the shore and hillside. 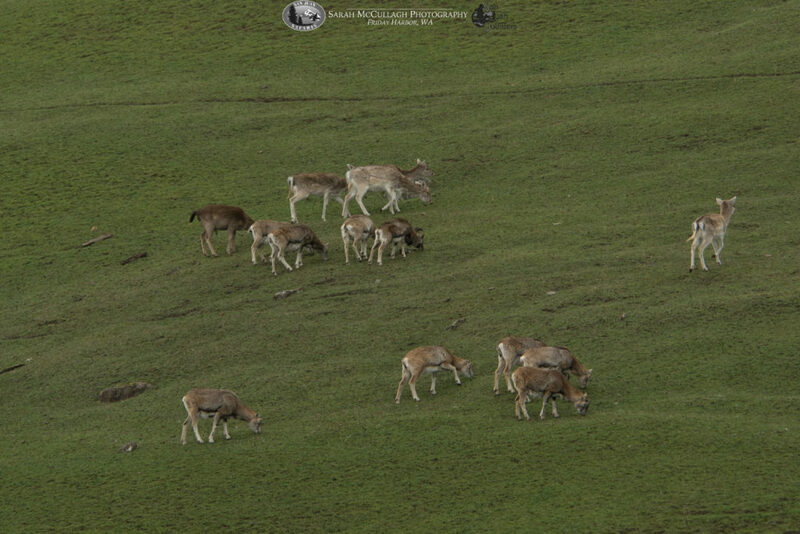 Envisioning a big-game hunting reserve, three brothers who were taxidermists released three species on to the island: mouflon sheep, fallow deer, and sika deer. 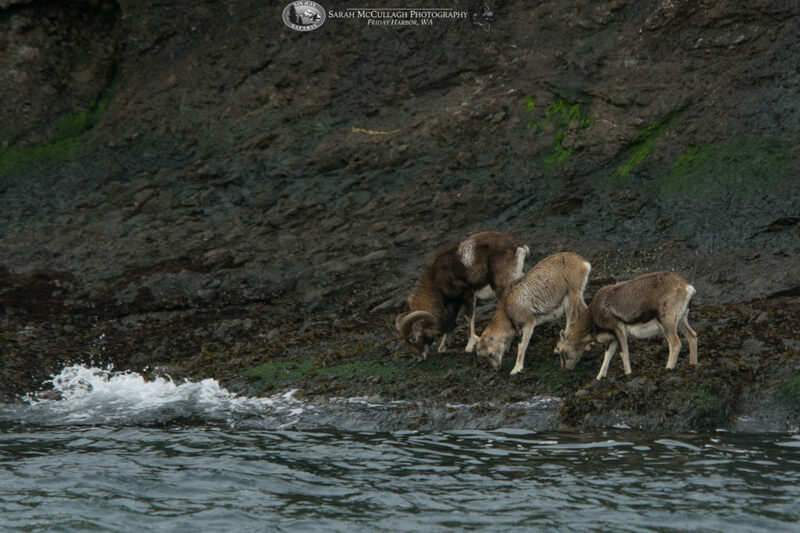 While this island is no longer used for this intent, the original ungulates progeny still cal the island home. 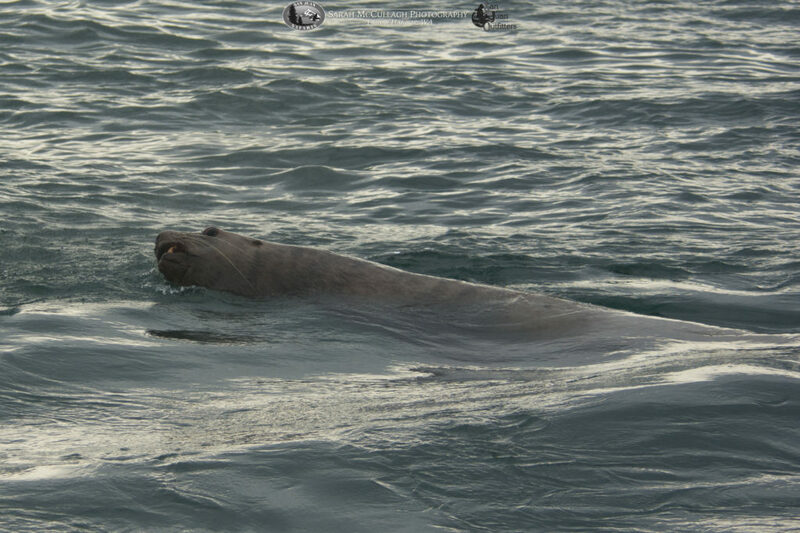 Perhaps the highlight of the trip was our encounter with some Steller’s sea lions. We noticed huge splashing and lots of frantic bird activity, and decided to check it out. 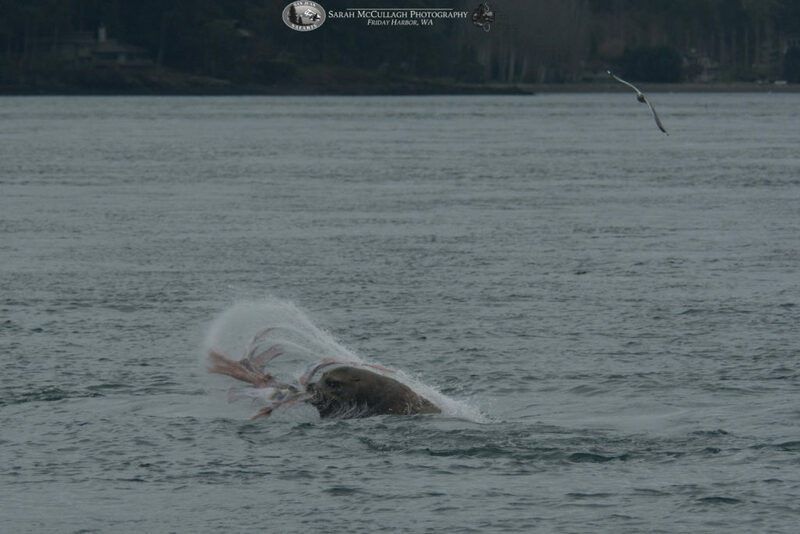 We arrived just in time to see a pair of these massive pinnipeds tearing into what Captain Mike and I believed to be a giant pacific octopus. It was absolutely incredible! 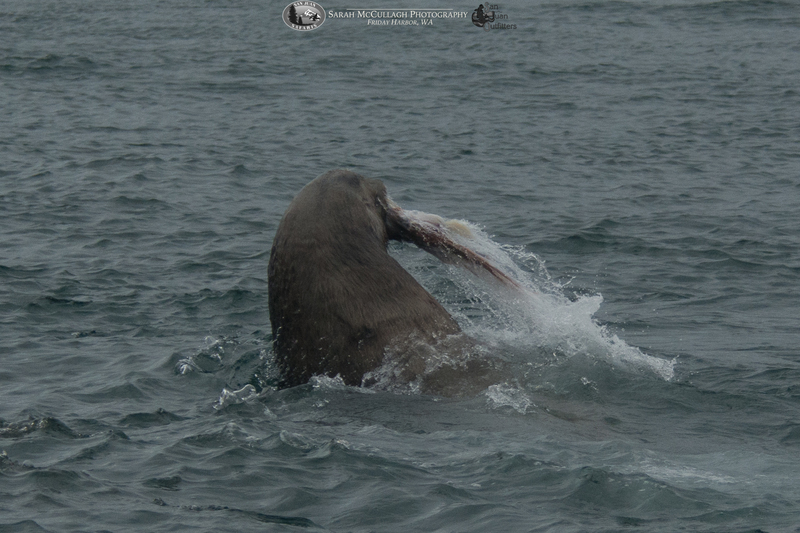 Since these huge sea lions cannot chew, they need to throw their prey around to rip off pieces. Check out the photos below!